After a classical fine art training in Florence, de Ferranti established her own studio in South London. Much of de Ferranti's work is inspired by her extensive travels, forming series that often focus on the elegance and resilience of the human figure. Her work has a tactile presence, exploring the physicality of her materials as well as emphasising the expressiveness and corporeal tension of her subjects. 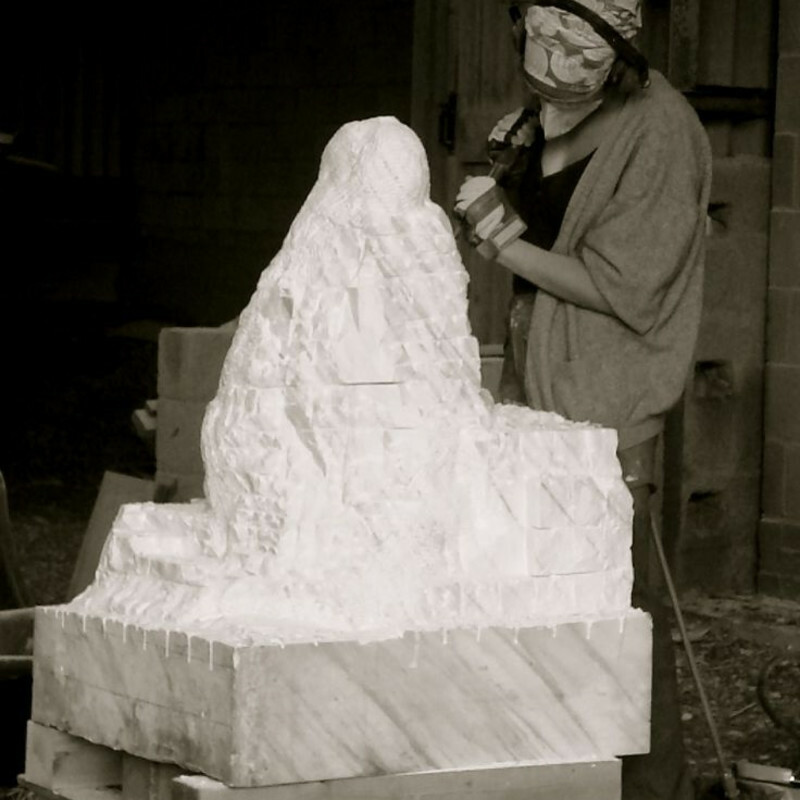 She accepts portrait bust commissions in plaster, bronze and stone. As a sculptor, I aim to create work that is tactile. I am attracted to simple forms but also strive to provoke a deeper understanding of the subject through creating rhythms in the handling of each sculpture.